Hi. 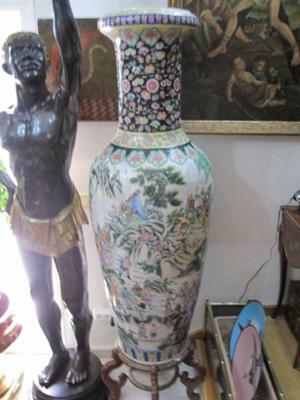 I need to know how can i determinate the exact dynasty and origin of this two big vases. They?r showing a battle in betwen two kings. If someone can help me i will be very pleased. "1700" is not the supposed time of manufacture, I suppose? 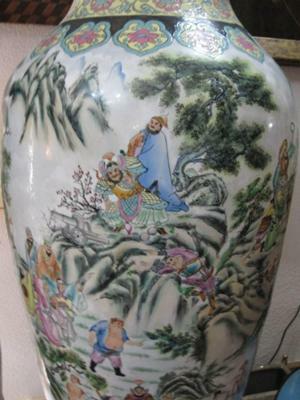 This vase was made in the People's Republic of China, sometimes between the 1950s and the late 20th century. If you have a mark on the bottom, this will probably confirm this. 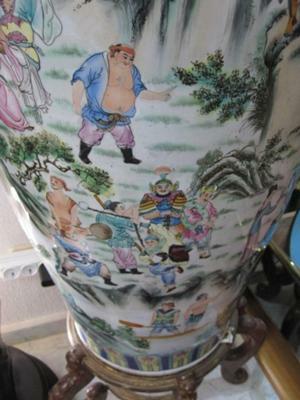 The way people are painted would hardly have been possible earlier, I'm afraid. 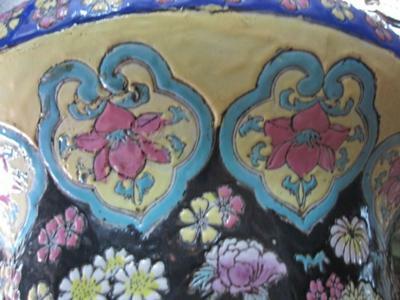 The light blue color, for example, is also something non-existent in traditionl porcelain.